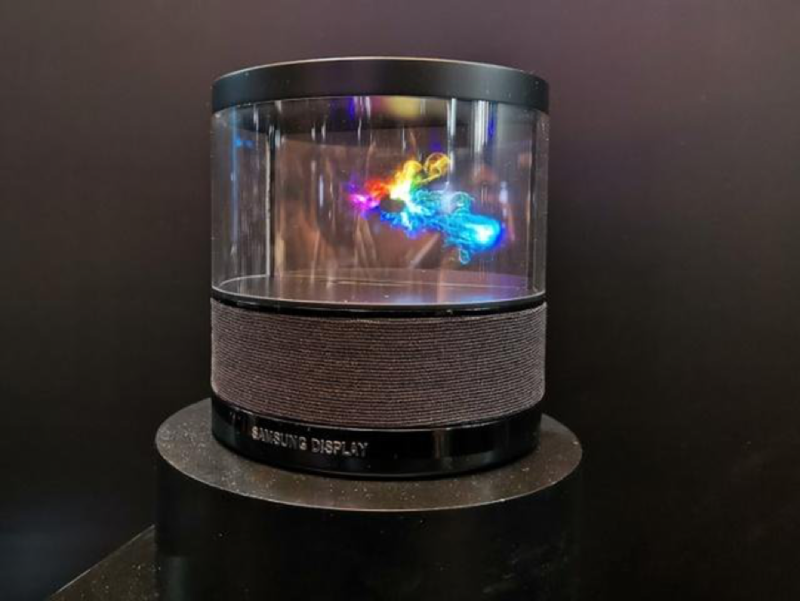 Samsung expert Ice Universe described the “Samsung columnar transparent OLED screen.” It looks like the beginning of the holographic chess game in the Millennium Falcon. Some report there is a connection between such a technology and smart speakers. Perhaps it is to make a home assistant that can show visual information no matter where you are? Or, perhaps Samsung is prepping a smart speaker that can play cool holographic visuals in sync with music. ​The immature smart speaker market has been growing rapidly and in Q318 was up 137.3% Y/Y, as Amazon, the product creator's share dropped by half, even as it maintained it volume. The use of displays in smart speakers is becoming popular, but they are too new to have meaningful volume. Samsung and LG were part of the Others category.